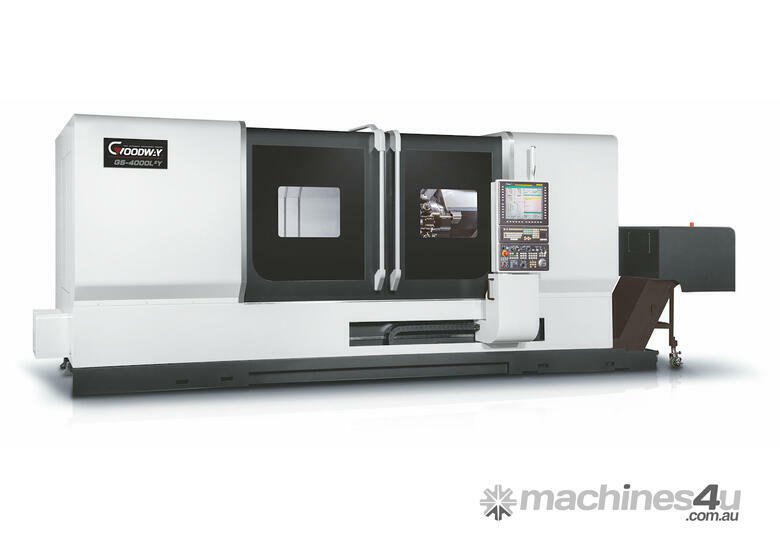 For those seeking a heavy-duty maximum performance turning centre that’s packed with the latest technologies, GOODWAY’s GS-4000 series is the perfect answer. 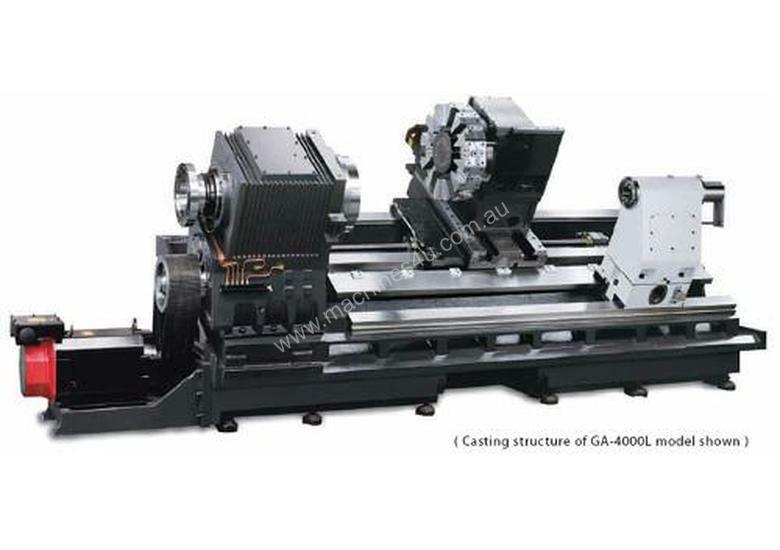 These machines offer awesome turning power, 37 kW 2-speed gear-head spindles to easily turn work pieces up to 24" diameter, and to accommodate various work piece lengths, 4 bed sizes offering maximum tuning lengths ranging from 750 ~ 3,000 mm are available. 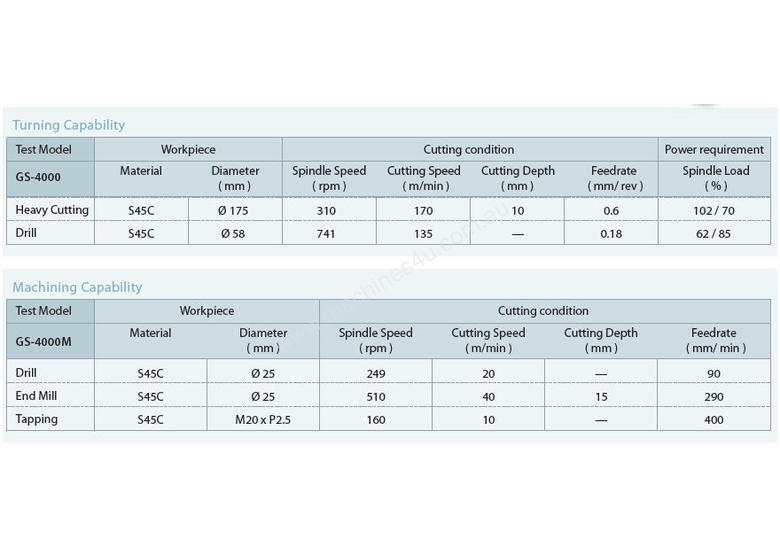 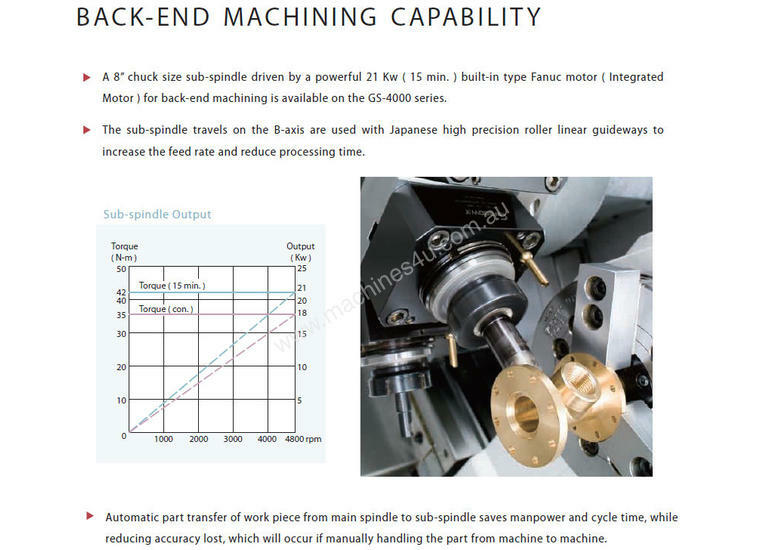 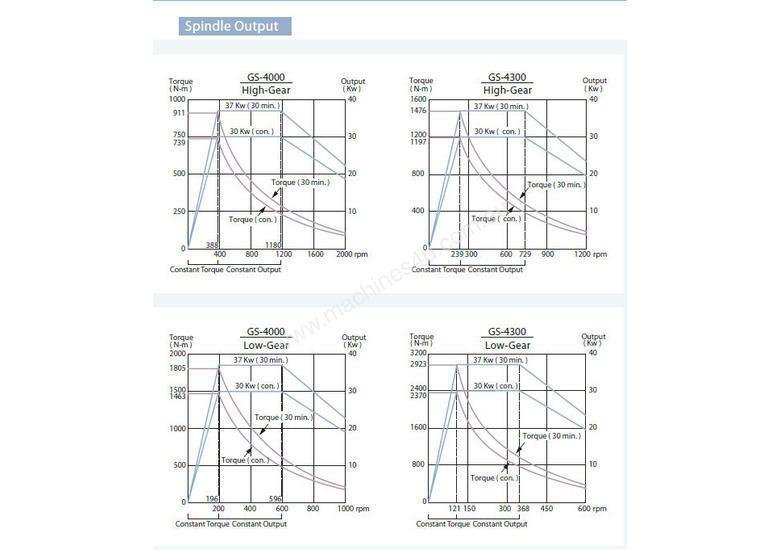 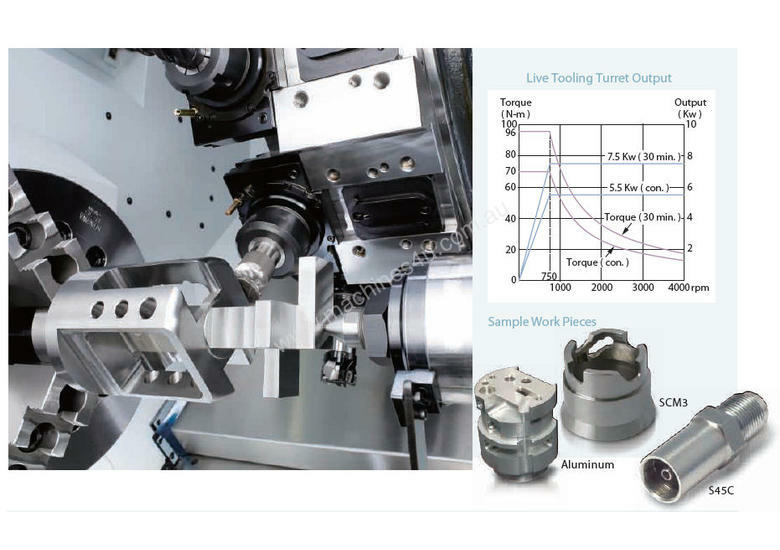 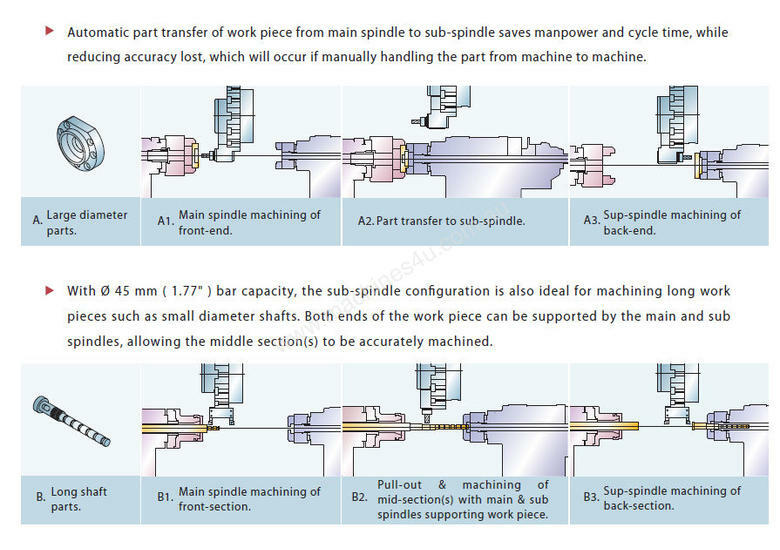 Live tooling and Y-axis ae standard and sub-spindle models further increase machining efficiency and accuracy, while reducing man power. 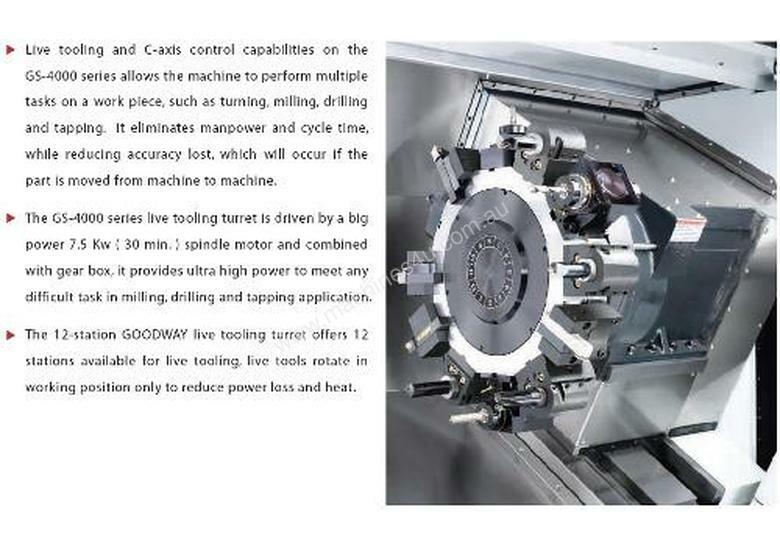 Furthermore, GOODWAY machines are always fully loaded with standard features that are either not available or costly options found on other machines. 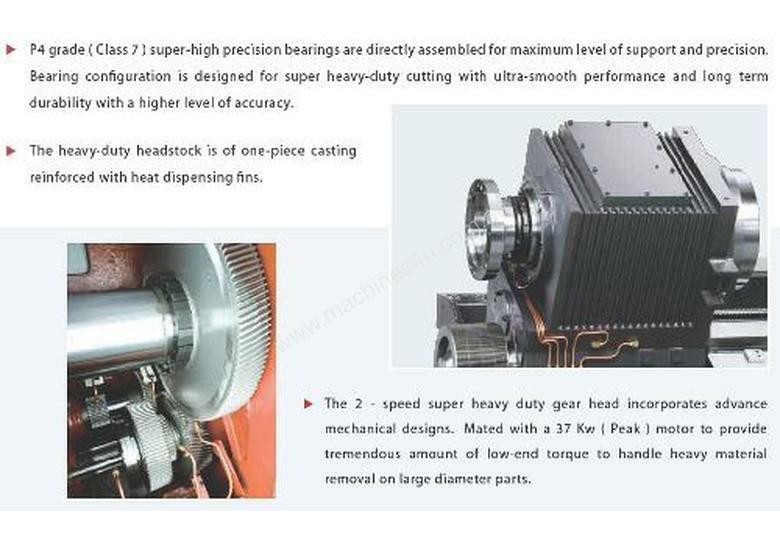 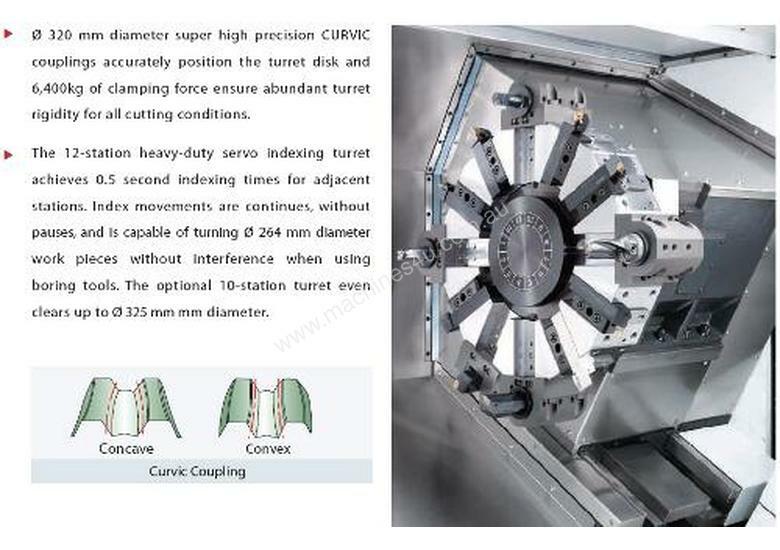 Features such as chip conveyor, programmable base tailstock, turning tool holders are standard plus many more. 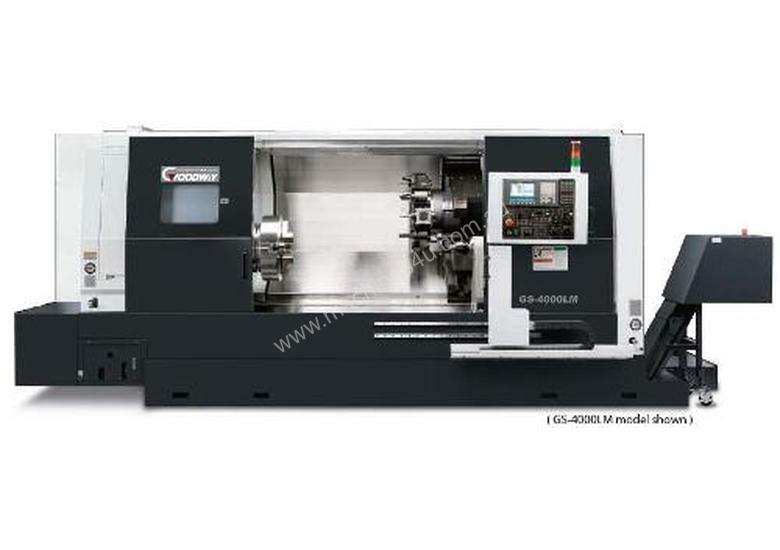 C/w Fanuc or Siemens Conversational Control, 2 Speed Gearbox, Chip Conveyor, Renishaw Tool Setter, Live Tools, C Axis, 4 x Milling Holders, Y Axis, Programmable Tailstock Body & Quill. 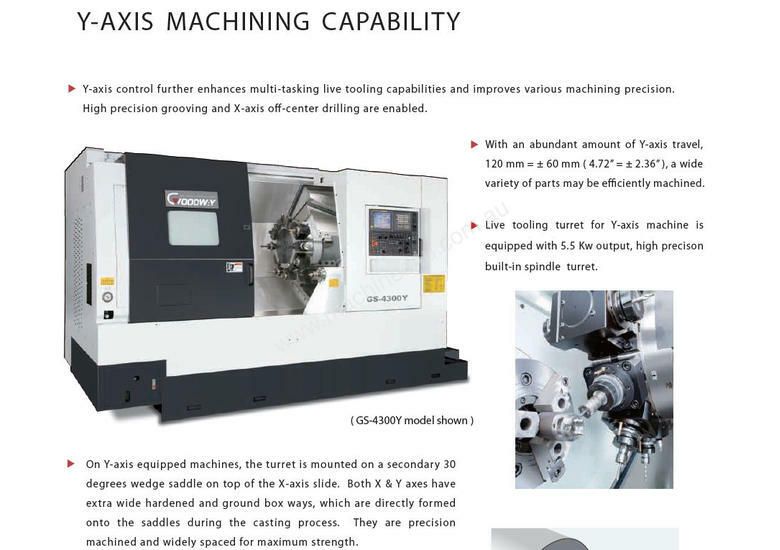 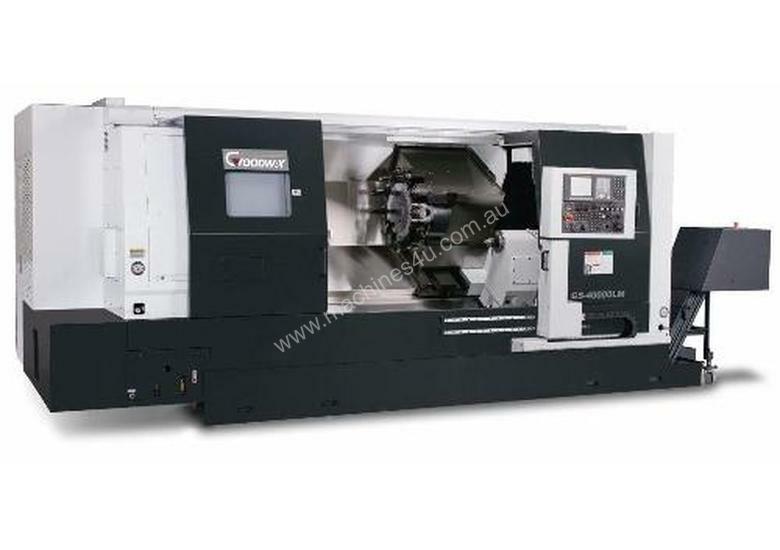 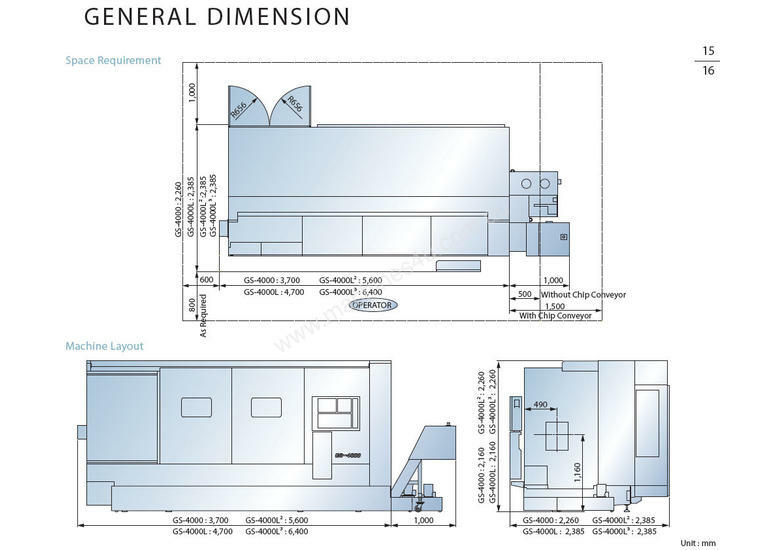 Large range of models available, would suit Mazak, Okuma, Mori Seiki & Doosan buyer!